There are many aspects of an overall private cloud infrastructure that affect your organization's cloud storage plans, and knowing what to look for is vital. Some people think the private cloud is just an extension of the virtualization they already have on-premises, but there's more to it than that. A private cloud implementation can help break down siloes in the data center and enable more rapid growth. Sounds great for a security-minded startup, right? Unfortunately, it comes with some requirements as well. Working with a private cloud is all about increasing flexibility in IT, with user self-service added in front of it. 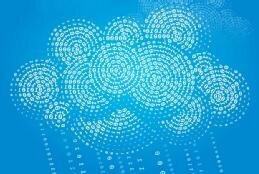 For many companies, virtualization is the starting point of a private cloud. Considered this way, a private cloud implementation is mainly about adding a layer of flexibility that allows users to self-deploy the IT resources they need. If you have plans to deploy a private cloud, you will need to ensure your IT department has the right skills. Here's an overview of the required components and how they are used in a private cloud environment. Most private clouds are all about deploying virtual machines (VMs), so you'll need a platform to make that possible. Many companies use VMware ESXi or vSphere as a virtualization platform. VMware offers a stable and proofed platform, but if you're planning to deploy a private cloud, you might be paying for functionality you don't need. Common alternative virtualization platforms are kernel-based virtual machine (KVM) and Xen, which have their origins in the Linux operating system. KVM is included in all current Linux distributions, and some distributions also offer Xen. Selecting either hypervisor allows you to build the server virtualization foundation of your private cloud implementation for free. A private cloud is more than just virtualization with an easy-to-use platform for deploying VMs. It should also deliver flexibility at every level, as well as networking. Networking, by itself, is challenging to make scalable, as you're dealing with physical devices that need to send packets the correct way. But software-defined networking (SDN) can help. In SDN, the network topology is defined in software, and the control plane that typically runs on physical network equipment runs on a server instead. By defining the entire network topology in software, it's easier to add different logical networks. In the end, the private cloud administrator will need to ensure the SDN topology matches a physical network layout. That's where specialized software products come in, such as VMware NSX or Open vSwitch, an SDN offering from the open source world. Software-defined networking is an essential component of any private cloud. Another level where a high degree of scalability is needed is storage. With traditional SAN products, augmenting storage often means adding more disks, which requires more disk cabinets, rack space and often more license costs to be paid to the SAN vendor. That doesn't work well in a private cloud implementation where it must be possible to add more disk space with just a few clicks. Fortunately, there is object storage. In object storage, physical storage is an underlying layer, and object storage is the top layer that defines what the cloud user or administrator will see. There are no expensive proprietary and sometimes incompatible SAN products that have to be used in object storage. Commodity hardware often suffices, and after adding more storage hardware, the private cloud administrator will only need to monitor the operations in software to make the additional storage available. Object storage also offers additional benefits. For instance, it makes it easy to provide data at a needed location, and it includes inherent redundancy. Several offerings exist for working with object storage. VMware, for instance, offers VSAN, and Swift and Ceph are two open source options. The latter two can be deployed on any Linux platform, which means they can be used without paying license costs. Just gathering the aforementioned components doesn't get you a private cloud. You also need a cloud management product. Nowadays, it seems as if every major software vendor has its own cloud product, but not all offerings allow you to run an on-premises private cloud. Microsoft Azure, for instance, is only available as a public cloud. Private cloud products that allow you to run the cloud at your actual site are offered by OpenStack, Oracle Cloud and VMware Integrated OpenStack, to name a few. If your IT is already based on products from a specific vendor, you should speak with them to find out if they have a cloud management offering that includes the components noted earlier. If this is not the case, you might be interested in OpenStack, which allows public and private clouds to be built for free on top of any Linux distribution. The most important element comes after product selection: skills requirements. Offering a private cloud requires specialized IT staff. You'll also need in-house expertise regarding storage and networking, as well as for the cloud platform itself. Building an efficient private cloud means these experts need to work together to integrate their areas of expertise, a task not normally accomplished overnight. What are the most important questions to ask when planning private cloud storage and why? Almost any organization of any size can enjoy the flexibility and cost savings that often accompany a private cloud implementation. It's not just for startups. Public and private cloud infrastructures are flexible, scalable and relatively low in cost. However, each cloud implementation has its familiar and lesser-known downsides. We've compiled the ten most important pieces of cloud storage advice from 2016, from implementing a hybrid cloud to choosing a data migration strategy.